During the 1980’s, Poland was still run by a Communist regime. It was a terrible period of despair, great poverty and confusion. 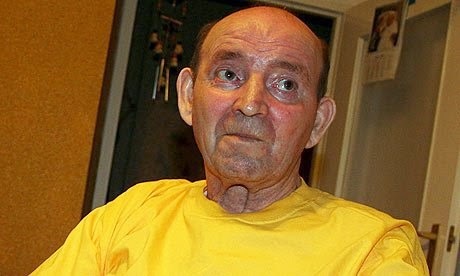 Polish railway worker Jan Grzebski, suffered a severe head injury while attaching two train carriages. He was rushed to the hospital, but the doctors had even more devastating news for the family: besides the injuries caused by the work-related accident, Jan Grzebski was suffering from brain cancer. He fell into a deep coma of 19 years. Doctors didn’t expect him to live longer than three years. His family had faith that Jan would recover and his wife Gertruda provided the loving care Jan needed to survive. The amazing part of this story is that Mr. Grzebski awoke on April, 12, 2007 after 19 years of coma. He awoke to a world of democracy and capitalism. Mr. Grzebski was surprised to find out that 18 years had passed since the fall of Communism and that 11 grandchildren couldn’t wait to hug him. “What amazes me today is all these people who walk around with their mobile phones and never stop moaning,” he said. “I’ve got nothing to complain about.” This memorable statement is the perfect reminder to all of us who sometimes are complaining too much. Sadly, we often don’t appreciate the simple things in life until they’re taken away from us.